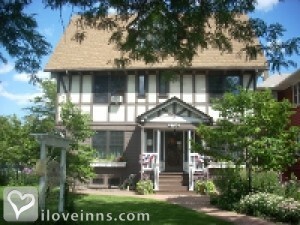 Wyandotte bed and breakfast travel guide for romantic, historic and adventure b&b's. Browse through the iLoveInns.com database of Wyandotte, Michigan bed and breakfasts and country inns to find detailed listings that include room rates, special deals and area activities. You can click on the 'check rates and availability' button to contact the innkeeper. Incorporated in 1867, the City of Wyandotte is often described as the 'Heart of Downriver.' The site where Wyandotte sits today was, in the 1700s, a village for the Native American tribe known as the Wyandot, a part of the Huron Nation. A waterfront community, Wyandotte is rich in history and is known for its distinctive architecture, charming downtown district and variety of cultural offerings. By Bishop Brighton Bed and Breakfast.